Parallel studies published in Tobacco Control, highlight fresh evidence on smuggled tobacco and industry-funded studies that routinely overestimate its scale. The new BMJ studies focus on illicit tobacco and industry-funded studies that over-estimate its scale. Two new studies from our Tobacco Control Research Group, published in the BMJ journal, Tobacco Control, expose evidence that big tobacco companies are still facilitating tobacco smuggling, while attempting to control a global system designed to prevent it and funding studies that routinely overestimate levels of tobacco smuggling. The findings come off the back of a major announcement last week from Bloomberg Philanthropies which makes the Tobacco Control Research Group one of the leaders of an all-new $20 million global tobacco industry watchdog which aims to counter the negative influences of the tobacco industry on public health. The global partnership aims in particular to highlight tobacco industry activity across low and middle income countries. The first study, which draws on leaked documents, highlights the elaborate lengths the industry has gone to control a global track and trace system and to undermine a major international agreement - the Illicit Trade Protocol - designed to stop the tobacco industry from smuggling tobacco. 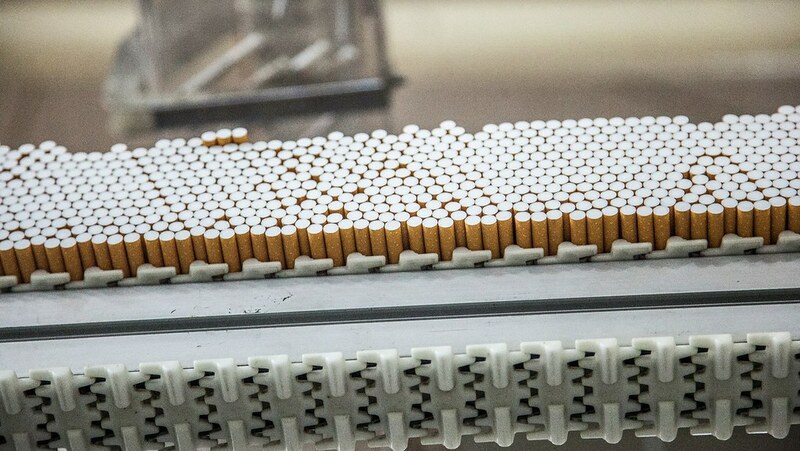 In 2012, off the back of a string of inquiries, court cases and fines all aiming to hold the major tobacco companies to account for their involvement in global tobacco smuggling operations aimed to avoid paying taxes, governments around the world adopted the Illicit Trade Protocol (ITP). Part of a global treaty, the Framework Convention on Tobacco Control, the ITP aims to root out tobacco industry smuggling through an effective track and trace system – a system in which tobacco packs are marked so they can be tracked through their distribution route and, if found on the illicit market, can be traced back to see where they originated. Fearful of developments, the new study argues that at this point the tobacco industry claimed to have changed, no longer the perpetrators of smuggling, but instead themselves now the victims of smuggled and counterfeited tobacco. Yet, reveal the researchers, growing evidence suggests the tobacco industry is still facilitating tobacco smuggling. Approximately two thirds of smuggled cigarettes may still derive from industry. At best, the authors suggest, this shows the tobacco industry’s failure to control its supply chain, but they point to growing evidence from government investigations, whistle-blowers and leaked tobacco industry documents all suggesting ongoing industry involvement. The second study, published today examines the quality of the data and reports on illicit tobacco that the tobacco industry has funded and raises further concerns about the tobacco industry’s conduct. It finds that industry-funded data routinely overestimates levels of tobacco smuggling. The first study to systematically identify and review literature that assesses industry-funded data on the illicit tobacco trade, it identifies widespread concerns with the quality, accuracy and transparency of tobacco-industry funded research. Industry-funded data were criticised for a fundamental lack of transparency at every stage of the research process, from sampling and data collection, through analysis to publication of findings. The authors posit that the consistency with which issues have been identified suggests that the tobacco industry may be intentionally producing misleading data on the topic. The team is now calling on governments and international bodies to crack down on Big Tobacco’s tactics, to ensure that systems designed to control tobacco smuggling are truly independent of the industry and its front organisations, and that research on tobacco smuggling is free of industry interests. Read more from the researchers via The Conversation UK - 'Big Tobacco is consistently overstating black market in cigarettes – new findings'. This work was supported by grants from Cancer Research UK. Tobacco industry’s elaborate attempts to control a global track and trace system and fundamentally undermine the Illicit Trade Protocol; doi 10.1136/tobaccocontrol-2017-054191. Tobacco industry data on illicit tobacco trade: A systematic review of existing assessments; doi = 10.1136/ tobaccocontrol- 2018- 054295.